The doctor will see you now. 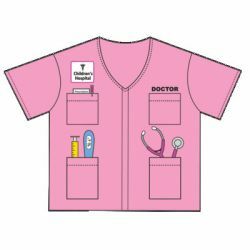 This easy on shirt, made to look like doctor's scrubs, will make a preschooler ready to check his patients. 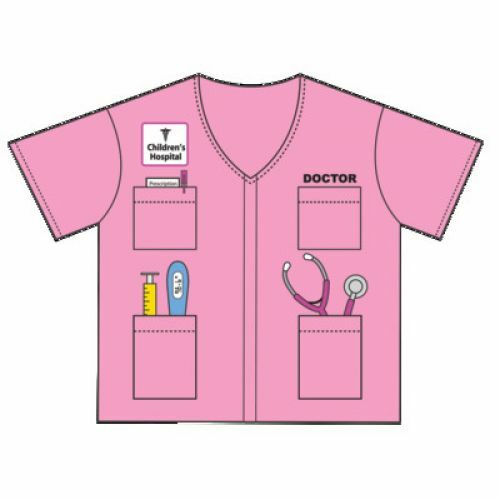 Pink fabric printed with stethoscope, thermometer and other important tools of the trade. Pocket on chest for personalization.